April 7, 2011 - The pilots of US Airways, represented by the US Airline Pilots Association (USAPA), on Wednesday expressed their outrage at the airline's acknowledgement that its management personnel aided in unauthorized distribution of the highly confidential personal data of thousands of pilots. USAPA is currently cooperating with a criminal investigation into this matter. US Airways recently admitted that a management pilot accessed and transferred a confidential database containing the personal information of thousands of US Airways pilots, including names, addresses and Social Security numbers. The transferred database may also have included pilot passport information. The data was given to a third party pilot group, which has acted to disrupt the ongoing negotiations between USAPA and US Airways currently under the auspices of the National Mediation Board and undermine USAPA?s bargaining objectives. "US Airways pilots are infuriated at the data breach perpetuated by a management official of the company for which they work," stated Mike Cleary, president of USAPA. "Thousands of us have been exposed to identity theft that could impact us for the rest of our lives. Further, as the Federal Bureau of Investigation has yet to determine the extent of the breach, we are concerned about the security of ALL information provided to US Airways ? including our families? personal information. US Airways collects personal information on US Airways employees' family members and information from passengers, such as credit card data." USAPA has been working with the FBI since November 2010 in an attempt to determine the exact scope of the data breach. In his letter alerting the FBI, the Transportation Security Administration and the Federal Aviation Administration to USAPA?s concerns, President Cleary said, "We believe the unauthorized access to this confidential information may pose a direct threat to national security, our represented pilots? safety, and their professional standing. "The exact scope of the breach is unknown, but unauthorized access to airline pilot passport numbers coupled with pilot residential addresses could potentially be used to forge U.S. commercial airline pilot passports, or identities, in order to gain access to international or domestic commercial aircraft or flights ? thereby posing a direct threat to our nation?s security." "In light of this breach, USAPA has concluded that US Airways cannot be trusted with confidential or sensitive information," President Cleary said today. "The union is also extremely disappointed by the Company?s lack of aggressive action to address this issue, first denying that a significant breach had even occurred, then equivocating concerning the extent of that breach, all the while taking no remedial action against the Company personnel involved in the breach. "Significantly, the Company has also failed to take steps to provide lifelong protection to the pilots directly affected and adequately address the potential national security issues for all of our pilots and passengers." USAPA is committed to spending the time and resources necessary to protect its members, while it believes that US Airways sits on the sideline. 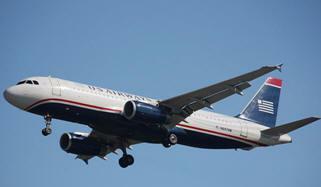 US Airways management has informed USAPA that it is relying on the ?assurances? of the very parties responsible for the data breach that the confidential information will not be misused. "This is, of course, ludicrous," President Cleary responded. "It?s analogous to a bank robber promising he will not spend the stolen loot. We are demanding swift and aggressive action as we simultaneously take significant steps to hold both US Airways and the specific responsible parties liable for the damage caused." Headquartered in Charlotte, N.C., the US Airline Pilots Association (USAPA) represents the more than 5,000 mainline pilots who fly for US Airways. USAPA's mission is to ensure safe flights for airline passengers by guaranteeing that their lives are in the hands of only the most qualified, competent and well-equipped pilots. USAPA will fight against any practices that may jeopardize its pilots' training, equipment, workplace environment, compensation or work/life balance, or that compromise its pilots' ability to execute the optimal flight.